G2A is one of the fastest digital gaming marketplace offering hundreds of thousands of games and software titles. G2A also offers subscription cards for popular online games and digital currency. G2A sells video game keys significantly cutting the cost of games versus retail prices. The G2A affiliate program is accessible to almost every individual with an online presence. Affiliates can expect to earn 10% of each sale for referred users. The affiliate program is split – one being a general program while the other, G2A Goldmine, is offered more for G2A users. The G2A platform shines from its buy and sell marketplace. Game keys are pooled through developer contacts or merchant accounts. This creates a highly competitive market which customers benefit due to low prices and availability. Deep linking to specific games creates many opportunities to monetize gaming content when paired with the G2A program. 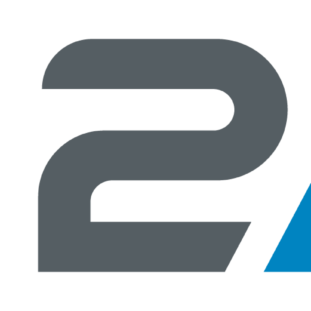 The G2A brand has expanded in several other offerings including a payment processing service, a 3D marketplace, charity program, and esports. This is a company well-positioned to become the next, major player in the video game niche. Will you be part of the growing gaming market and earn with each, new gamer coming through their channel? G2A aims to provide all games, for every platform, all in one place. It’s not as big as Steam or has the financial backing like Amazon. But, it fulfills its purpose as a marketplace to buy and sell games. What makes the G2A program worth joining? What are some of the negatives? The G2A affiliate program certainly has its value with 10% commissions and a huge library of games. It’s one of the few companies offering this kind of service which makes the instantly recognizable within the gaming community. Unfortunately, they don’t have the greatest customer support and community outreach. A quick Googling and you’ll see the problems gamers have with G2A. However, it does fill a niche within a niche and that is international sales and affordability. In all, G2A has its issue but it’s hard to avoid because it’s so heavily promoted by prominent influencers in the gaming community. The commission cap is the real dud in this scenario when an affiliate could promote other programs. But, we think you’ll have a lot of play with the G2A affiliate program in a huge segment of your gaming blog community.